Credit card processing might seem like a simple process. Unfortunately, if you plan to set up your own business and start accepting credit and debit cards, you’ll quickly find it’s a lot more complex than you might think. By the time you finish reading this you’ll be an expert too. Most card transactions involve 2-6 parties, and some involve significantly more. Why? Any transaction must be processed and verified as genuine by both your bank, the customer’s bank, and their card scheme or network. This also means that you’ll typically pay fees to each party involved, for the simple service of processing the transaction. You can accept payments through a credit card terminal, virtual terminal, or online payment gateway. Debit cards often go directly to the customer’s processing bank, skipping the card network step, so you pay less. Whether you already have a merchant account or are looking into setting one up for the first time, it’s important that you know what you’re getting and what you’re paying for, so that you can get a good deal. Credit card processing typically includes 6 steps, which can happen instantly or over the course of 1-3 business days. Credit Card Terminal – A credit card terminal is a standard credit card machine, which connects over broadband, WiFi, or 3G/4G. This machine automatically processes transactions, attempts to verify the card holder, and forwards the request to the customer’s bank. Virtual Terminal – A virtual terminal accepts credit card transactions from customers who are not present. Here, you input credit card details in a form in a program, and it forwards the data for you. Most merchant account services charge a premium for card not present transactions because of the increased risk of fraud. Payment Gateway – A payment gateway functions as an online credit card processor, allowing customers to input their card details and personal verification information and check out online. Some solutions feature additional security options like Verified by Visa and customers may have to use a pin or other verification method for their card. The payment is processed, encrypted, and forwarded to the entities involved in the transaction. Depending on your software and your contract, this may be handled immediately or at the end of a business day. If the consumer is making a purchase with a credit card, their data and purchase request is forwarded to the card network or card scheme. For example, Visa or Mastercard. The card network verifies that the consumer has the purchasing power and checks credentials. If everything goes well, the card network either processes and reconciles the payment directly or forwards it to the consumer bank. This process is known as interchange. The consumer’s bank will process the payment request, check the credit limit, check available funds, and check the authenticity of the purchase. The bank will then approve or deny the purchase and send the response back to the credit card processor. The consumer’s account will be debited immediately if the transaction goes through. Steps 1-5 typically happen in less than a few seconds. Afterwards, all parties involved will begin a longer process of authentication, but this is completed after the sale. Once the transaction has been approved, your merchant account will typically hold the funds to ensure that the transaction is genuine, and then process and deposit it in your merchant account. Some banks process funds same or second day, but most process funds within 3-7 business days, with 7 being the standard. Once processed, your acquiring bank will either deposit all funds on a rolling basis (such as once deposit every 7 days) or as funds are processed and approved, which means you will receive multiple deposits per day. In most cases, deposits cost 10-30p each. This process is repeated each time someone makes a credit card purchase. If you set up a merchant account, chances are that you will work with a single company which will provide all the services you need as part of your contract. However, every transaction involves multiple parties, and you may have to deal with each individually. You will also have to pay a fee, typically a few cents or a small percentage, to each entity involved in a purchase. The card processor may be your merchant account holder or a third party such as an Independent Service Provider, third-party payment processor, etc. This is the company that forwards card data to interchange and allows you to accept the payment. The issuing bank provides all funds from the credit card holders account. This bank may belong to a credit card association or it may belong to a bank like Barclays. The issuing bank is responsible for ensuring that the consumer has funds, a credit limit, and is who they say they are. The acquiring bank verifies that the transaction is valid, that it is for a purchase made at your store, and that the consumer has the funds to deposit. Your funds will be deposited here after the purchase is completed. There are many possible parties who may be involved with any given credit card purchase. Some of the most common include Independent Service Providers, third-party payment processors, and currency conversion services. An ISP/MSP/Third-Party salesperson is operating as a merchant bank, but it not actually a merchant bank. In the case of the ISP and MSP, the provider is licensed to offer a merchant banks services as their own. This is why you often see smaller merchant account service providers like Paymentsense offering accounts through Elavon or similar. The provider operates under their own name but negotiates bulk rates from a larger provider, handles customer service and credit card terminal supply, and takes a small percentage of each transaction in return. Third-party payment processors function in lieu of a merchant bank, and may have a bank of their own or process through a third-party bank. In this case, you do not have a merchant account of your own, but instead handle all transactions digitally through a digital money management account. This reduces fees by reducing the number of parties involved in each transaction. Popular third-party payment processors include PayPal, Stripe, and Square. If you use a dynamic currency conversion service as part of your card terminal, online payment gateway, or merchant account, it is likely processed through a third-party such as Fexco. This company will ensure that all transaction rates are up-to-date, and that both you and the provider get a fair rate. DCC services will cost an average of 0.05% per transaction. If you’re operating through a merchant account platform, such as Amazon, the transaction will be processed through their account and verified by that platform as an extra step. This is usually free. Most merchant accounts use something known as tiered processing rates or bucket rates. Others will use flat-rate pricing. In most cases, each party involved in the transaction will charge a fee. The rate your merchant account provider charges is the total of those fees plus a percentage for them, so they make a profit. This means that most transactions represent fees from a minimum of three entities and usually four. (Processor, Issuing Bank, Acquiring Bank, Credit Card Association) In some cases, one or more of these entities will be the same and in rare cases, all four will be the same, but you will still pay at each step of the process. The interchange rate fee charged by Visa and Mastercard for processing their cards. This fee is taken off and handed off to the card processing company by your merchant account provider. It’s a good idea for you to understand the rate, because it allows you to see the markup used by your merchant account provider. Mastercard has a base rate of 0.30% or 0.20% for all local U.K. credit and debit cards. Visa uses a much more complex fee structure based on tiered or bucket pricing. This means that your interchange rate will go up or down depending on the security of the card. So, where Mastercard charges a flat rate for all UK cards, Visa’s rates will change quite a bit depending on what type of card you’re accepting. 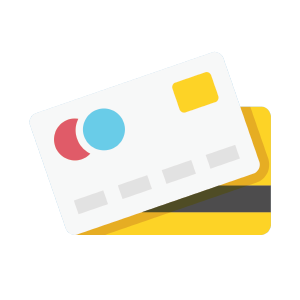 Amex, JCB, UnionPay, and very other card association each have their own rates and fees. Some are higher or lower than others, but Amex is typically the highest. In most cases, you can request a fee chart outlining exactly what rate you’re paying for each card from your merchant account provider. If you see an “Interchange +” fee, you know that your merchant account provider is charging you the interchange rate plus their fee. For example, Interchange + 1.5% + 20p. If you see “bucket”, “tier”, or flat-rate pricing, your merchant account provider has worked out an average that allows them to earn money across all interchange rates. Each time a payment is processed by another business entity, they add their own fee. This fee is typically either a percentage or a small pence rate. For example, you may pay 0.05% or 5-10p per transaction to a consumer bank. You’ll pay about the same for dynamic currency conversion. While very low, this rate will add up a great deal. The biggest markup is that of your merchant acquiring bank. Standard rates offered to consumers vary between 0.75% and 3.9% + 20p. So, if you’re accepting a Visa or Mastercard and the interchange rate is 0.30% and 4 additional parties add 0.05% (32%) but you’re paying 1.4% + 20p, the 1.08% + 20p is what you’re paying to use your merchant account and processor. Of course, your merchant account is contacting multiple parties on your behalf and processing the transaction for you, so 1-2% of a transaction isn’t actually that bad. More importantly, you cannot skip a merchant account provider and no one offers a solution with no markup. Your best option is to compare your rates and make sure that you’re getting the best deal available. Credit card processing is often complicated, but you won’t typically ever see the process. If you partner with the right acquiring bank, they will handle everything for you, making setup, credit card terminal installation, payment gateway setup, and credit card processing as simple as possible.